The company actively works on a number of new projects, including the new ship concept PNG®, and emission reduction system KVOC® as well as the new Ballast Water treatment System, KBAL® for which the company has strong expectations. Knutsen has an active approach regarding implementation and development of technology for reducing emissions to water and air. 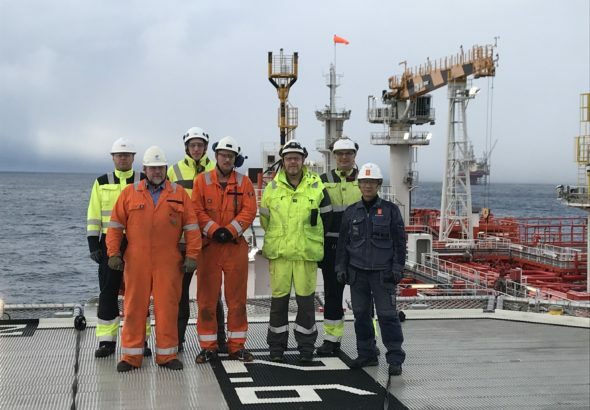 Knutsen Technology has developed its own system for reducing VOC emissions (volatile oil compounds) in connection with loading of shuttle tankers offshore on the Norwegian Continental Shelf where there are strict requirements for VOC emissions. This system is now accepted for use on the Norwegian Continental Shelf. Knutsen Technology has also developed its groundbreaking Ballast Water treatment technology which has now received the Type Approval Certificate from DNV and is commercialized. You will find more information of each technology under KBAL® – Knutsen ballast water treatment technology, KVOC® – Knutsen VOC technology and PNG® – Knutsen compressed natural gas technology. Knutsen Technology has from 01.04.2012 moved outside the main Knutsen building and is located in the Centre of Haugesund. The KBAL BWT system is the only system available on the market that neither uses any kind of chemicals nor any filters. The system is type approved by DNV GL, Lloyds and ABS. Read more. To reduce the emission of Volatile Organic Compounds (VOC) to the atmosphere Knutsen OAS Shipping AS has developed the KVOC® technology. This is a technology which reduces the emission of VOC from tankers during loading and transit. VOC are the mixture of low molecular weight organic compounds in crude oil that can be released from oil and oil products during production, processing, loading, transport, unloading and storage. Read more. Pressurized natural gas (PNG) is a solution for maritime transport of compressed natural gas. Knutsen OAS Shipping has together with EUROPIPE GmbH and Det Norske Veritas developed a new solution for Compressed Natural Gas transport with the proprietary name PNG. Read more.